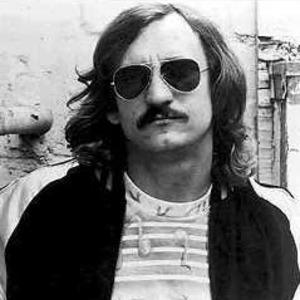 Joseph Fidler "Joe" Walsh (born November 20, 1947) is an american guitarist, songwriter, and rock musician. He has served stints in two successful bands, the James Gang and the Eagles. He has also experienced success as a solo artist. A native of Wichita, Kansas, Walsh moved to Montclair, New Jersey and attended Montclair High School. He spent time in various bands playing around the Cleveland area while attending Kent State University, but came to widespread attention in 1969 after replacing Glen Schwartz as lead guitarist for the James Gang, an American power trio. A native of Wichita, Kansas, Walsh moved to Montclair, New Jersey and attended Montclair High School. He spent time in various bands playing around the Cleveland area while attending Kent State University, but came to widespread attention in 1969 after replacing Glen Schwartz as lead guitarist for the James Gang, an American power trio. Walsh was the standout of the band, noted for his innovative rhythm playing and creative guitar riffs. The James Gang had several minor hits and became an early AOR staple before Walsh left the group in 1971 for a career as a solo artist. Walsh's solo debut was Barnstorm (1972). Its follow-up was The Smoker You Drink, The Player You Get (1973). Several cuts from these albums, notably "Rocky Mountain Way", received heavy airplay and continue to be classic rock favorites. After releasing another studio album and a live set, Walsh was invited to join the Eagles in 1976, replacing departing guitarist Bernie Leadon. He brought a harder-edged sound to the group, giving their light country rock sound a shot in the arm and kept the Eagles from becoming a country act altogether. As the Eagles began to decline after the release of Hotel California, Walsh re-ignited his solo career with the well-received discs But Seriously Folks (1978) (which featured his hit comic depiction of rock stardom, "Life's Been Good") and There Goes the Neighborhood (1981). He continued to record and release albums throughout the 1980s. In 1989, Walsh recorded a MTV Unplugged with the rnb musician Dr. John, but musical trends had passed him by and he maintained a very low profile until the late-1990s Eagles reunion and tour. Walsh sang the US National Anthem at the beginning of Game 4 of the 1995 World Series. In 2004, Walsh performed live before a huge crowd at Eric Clapton's Crossroads Guitar Festival in Texas. A versatile guitarist, Walsh's abilities on acoustic, electric, and slide guitar have also made him well-regarded as a featured player or guest soloist; Walsh has recorded and performed with many other artists including Dan Fogelberg, Steve Winwood, The Who's John Entwistle and on the first two Ringo Starr and his All-Starr Band tours. Joe Walsh ran for President in the 1980 US Elections promising "free gas for all". In an interview for Planet Rock radio station he commented that he did this to raise people's awareness of the election. He felt that many Americans were not even aware that there was an election going on. Some of his most recent compositions deal with his struggles with substance abuse. Joe Walsh (WB6ACU) is an active amateur radio operator. Joe is also an active member and contributor of the ARRL, the National Association for Amateur Radio. Joe has contributed to many simmilar causes over the years.